So what's a flymph then? Is a flymph a type of fly or a method of fishing or a little bit of both, (probably the latter) ? I must admit I don’t recall ever before hearing of or reading the term " flymph " until I noticed it in Todoroki-san’s blog post, 2019 狩猟鳥利用毛鉤 [Game bird useful for kebari, I think], that was posted nine days ago on the kebariandfly blog. Though it’s a term that was created decades ago. However, I also don’t recall what I had for dinner last Saturday, quite a feat of poor memory as I have mostly been an OMAD (one meal a day) Guy almost three years now. I can’t claim what was for dinner was lost amongst 3 meals per day. However, I must have seen flymph before and just forgotten seeing it. Flymph has appeared on this forum in Nov '17 thread, “Is there a difference between kebari and flies”. Dec '17 in the thread “North Country School of Flyfishing”, and more recently Dec '18 in the thread, “Bead or not to bead”. I’ve been pondering about making a related post here since reading Todoroki-san’s blog post. Perhaps mostly draw attention to the link Todoroki-san listed at the bottom of the blog post to a fun to read pdf file about V.S. Pete Hidy and the flymph. Mr. Hidy coined the term flymph and also was founder of the Fly Fishing Club of Oregon and coauthor with James “Jim” Leisenring (famous for the Leisenring Lift fishing technique) of, " The Art of Tying the Wet Fly & Fishing the Flymph ". However, below is a link to a much shorter, two page, pdf file about the “Flymph”, what it is & how to fish it. What stands out to me after reading more about what a flymph is, and how to fish it. Is how much it seems to he the same or at least very similar to Japanese tenkara kebari + sasoi or sutebari or drift and pause fishing techniques. The design of the flymph seems to me that it is not designed / tied to look like real insect. It is primarily tied to mimic or provide an impression at a glance by the fish to appear to be a living insect. Paul Gaskell has written about studies testing how fish react to basic shapes and direction of movement (longitudinal or transverse to the longer length) of objects that have no resemblance to real insects, yet the shape and certain directions of movement triggers an attack response. As defined the flymph is not tied to look real, but rather primarily to look alive. Confusion, and correction about how to do the “Leisenring Lift” correctly. Which seems very similar to the tenkara pause and drift technique to me. 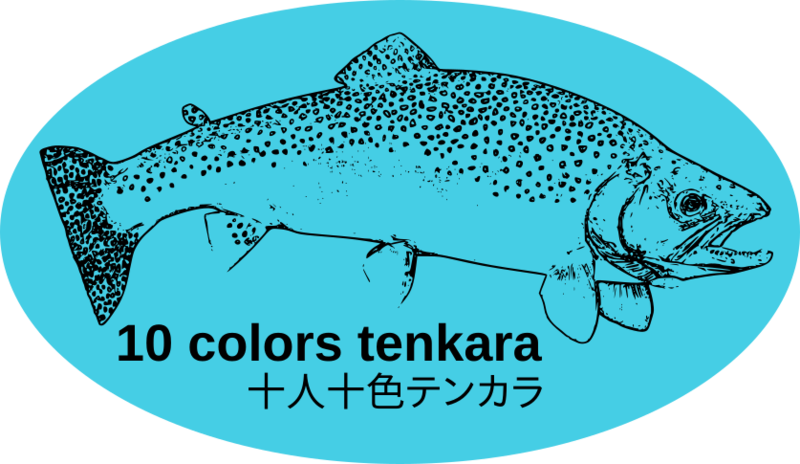 Only the tenkara technique may have 2 ~ 4 lifts per drift. You don’t really lift the rod tip to make the fly rise. You just pause tracking the drift, and then let the water current pressure on the line make the fly / flymph / kebari rise in the water column. If done at the right place in front of the fish it will catch their attention and standout from other debris drifting in the water. And trigger a take. Jim Leisenring’s own words quoted in the following blog post starting at the 4th paragraph describes the correct Leisenring Lift method quite nicely. I can certainly believe the kebari rising in the water column can trigger a hit. Chris Stewart has written about noticing how often he gets hits when starting to lift the line to recast, so recast often. And I’ve noticed the same myself. Perhaps I’d get hits even more often following Jim Leisenring’s first instructions. 1st spot the fish (nice when you can), 2nd cast about 15 ft upstream, then … Well, read the instruction in the above blog post. Anyway, for a term I don’t really recall reading before. There is a lot on the internet about them. Blogs, forums, etc. Just do an internet search for - flymph or in Japanese フリンフ . Flymph fishing veterans please add your experiences, pro or con. An off topic aside note. Mr V. S. Pete Hidy has a cousin Jim who is a split bamboo rod maker of some fame. FYI - Allen McGee is the author of, Tying the Soft Hackled Nymphs (aka SHN), and at least two other SHN books; Spiders to Flymphs (note:Chapter 4 Japanese Tenkara), Fly-Fishing Soft Hackles; nymphs, emergers & dry flies. I’ve not read any of them. Anyone familiar with them? A flymph is definitely a fly, not a method of fishing. The word “flymph” is a combination of fly and nymph, and is suggestive of an “emerger” before that term took hold. Over the years, I have gotten to know Pete Hidy’s son a bit. There is a very informal group of fly fishermen who occasionally get together in Roscoe, NY, many of whom are members of another informal group who call themselves the Brotherhood of the Flymph. Well yes of course the word flymph is a squishing together of fly and nymph. Meant, I think, to also indicate, as originally conceived, they would be more effective fished using a specific method. A little bit like a regular fly and a little bit like a nymph. Just as other types are flies are more effective fished with certain methods or specific water conditions. Fast or slow water, etc. The two page Flymph Pamplet pdf file describes it this way, " “Flymph fishing is that technique which, …, strives to simulate the hatching nymphs of the mayfly, caddis fly, or the other aquatic insects as they struggle up toward the surface or drift momentarily in or just under the surface film. 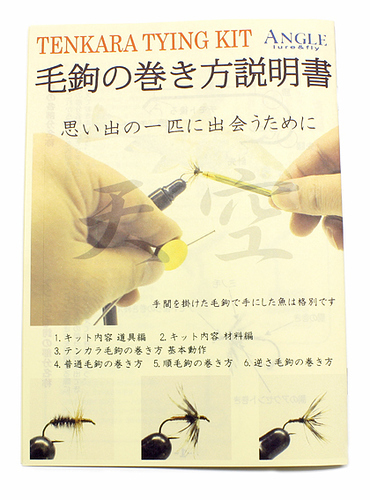 …"
Which seems to me to be describing the same way soft hackle tenkara kebari are often fished. Just under the surface to a few inches below the surface. But I am frequently wrong. Yoshikazu Fujioka-san in his diagram classifies kebari 7 ways: [short or long hackle, stiff or soft hackle. With 3 directions of the hackle: reverse hackle / sakasa kebari, 逆さ毛鉤 aka forward facing hackle or normal hackle (which in his diagram I think includes both futsū kebari (普通毛鉤, hackle that is more or less is perpendicular to the hook shank, & jun kebari / 順毛鉤 where the hackle faces toward the hook bend). However, what is a futsū or jun kebari appears to be used very casually with little distinction between the two orientations. But for some people what a jun kebari is seems to be a bit different. Flymphs are described as - “A wingless fly … utilizing the soft hackle fibers easily activated by the currents to give the effect of an insect alive in the water,…” . Wherein wingless appears to mean that the hackle is evenly distributed all round, not asymmetrical, simulating a wing on one side. Which to me describes a jun kebari, the hackle faces the hook bend evenly all round. With the only additional feature to be a flymph being a specific type of body. Thus the view from me, someone who has no experience with them, and is just now taking a first look into the flymph world. A flymph is both a specific type of fly with a specific recommended fishing method. Very similar to a Japanese jun kebari (順毛鉤) with a translucent fur or wool body. [ an observation about the jun kebari (順毛鉤) variations. When I look at some older Japanese documents jun kebari usually had asymmetrical hackle pointing toward the hook bend, as shown in the kebariandfly post linked above. I have a couple of old vhs tapes featuring 弘道富士さん Hiromichi Fuji-san, and that is the way he tied a jun kebari. Google 順毛鉤とは or 順毛鉤巻き方. To find variations. In casual conversations it seems most people in Japan are casual about using or applying names for both styles of jun kebari or whether the kebari is called a jun kebari or futsū kebari. Paul Gaskell has written he most often heard people call any kebari that was not a sakasa kebari a jun kebari, whether the hackle pointed straight out or toward the hook bend. In this diagram from an Angle tying kit. The jun kebari is shown with symmetrical hackle. However, Todoroki-san has a wonderful drawing of many types of kebari in the below blog post from 2018/05/04. Wherein the jun kebari is of the old pattern. I think Todoroki-san is a traditional-minded man who loves the tradition ways and way of tying and labeling kebari. Anyway, below is a link to another take on Wingless flies. Inspired by the Leisenring and Hidy book. Some fit the original definition of a flymph. Some not so much. Chris mentioned over the years he had gotten to know Pete Hidy’s son a bit. I assume referring to Lance Hidy. Lance wrote a couple of pieces about his father for the American Fly Fisher journal. Several back issues of the Creel in pdf format are on the website for the Fly Fishers Club or Oregon. But I did not see the Dec 1970 issue. All that I’ve found thus far are older 1960s issues, and to read them you’ll have to save the pdf file, and rotate the images 90˚ as they are sideways. If that sort of think interest you. It would be kind of fun to read the “A Salute to Leisenring and Skues.” article. Update: I found the - “A Salute to Leisenring and Skues.” article. Starts on page 71 of this pdf file. Compiled by Lance Hidy. This file is the same one Todoroki-san linked in his blog posted two weeks ago. "ca. 1962 ~ 1964 —Hidy coins the term flymph. Although the term is briefly criticized for being unscientific, time proves Hidy correct in believing that it clears up the confusion caused by using the term nymph for two distinctly different wet-fly methods. Imitation nymphs, Hidy agrees, could be weighted and fished on the stream bed. But the hatching or emerging nymphs—part nymph, part fly—and other submerged insects that are active just below the water’s surface fall into a totally separate category that had never before been given its own name. FLYMPH — A WINGLESS ARTIFICIAL FLY with a soft, translucent body of fur or wool which blends with the under color of the tying silk when wet, utilizing soft hackle fibers easily activated by the currents to give the effect of an insect alive in the water, and strategically cast diagonally upstream or across for the trout to take just below or within a few inches of the surface film." Pete Hidy - first - created a new hybrid-name for a water bug that at the moment was no longer what it was minutes before ( a nymph on the stream bed), but was also not yet what it would become a few minutes later (a fly). And only secondly - later named his pseudo-lure after the transforming critter. Because he would be using a fishing method that imitates the movements and location of the transforming critter in the water. And is vaguely the same texture, shape and color. If Pete Hidy was born 95 years later, and grew up in the current era, he’d probably have named it a Transformer. After the toys I saw children playing with Christmas Day, that was an SUV one minute and a flying Superhero moments later. I like Flymph better.
" To take large fish that are shy is the acme of sport. A day now and then on preserved waters crowded with fish eager for your flies is a pleasant novelty, but for real sport, give us free water where the trout are critical, hard to please, and highly valued when caught ." Only the top post on the following link is recent. Some of the post below it were made a few years ago, and sadly some of the links to external sites no longer work. However, one did about the modern development of the dry fly, which is kind of fun. I’ve put the link to it at the bottom. Jump to page 32 to get past the introductory text to where pics of the flies begins. Anyway, sometimes it is informative to read the thoughts of anglers from the end of the 19th century into the early 20th century. “Dry-fly fishing in theory and practice” also by Fredric Halford, and published in 1889, is also kind of interesting, and can be found in the other archived books at the above “Halford, Fredric M.” link. Take a look around the Internet Archive, which claims to have 15 million downloadable books and text. Plus a collection of 550k modern ebooks too. Maybe something of interest can be found, or maybe just an huge time sink. At the top are also links to archived videos, audio files, images, plus a link to the web “wayback machine” if you are familiar with it’s use you can sometimes find limited screen grabs of recently gone webpages. Well, it’s not a scene of tenkara fishing, but still a stream fishing scene from 1790. Quite a collection of books on the archive website - sorted by - flies artificial. Thank you @dwalker for the information.